“Cooks Corner” Hartlepool, in the district of County Durham. Most of the Pentimento experiments are carried out here due to the location being constantly active, not over worked and is respected unlike a lot of the more well know locations that are not being given the chance to rest and recover from overuse. Be prepared for a busy and very strange experience as you will take part in a ground breaking experiment, development workshop, Victorian style séances and paranormal investigation in one single room that is the epicentre of the haunting of “Cooks Corner” that we have christened the “The Nucleus!” This is an opportunity to witness mediumship in its original state something we feel very passionate about, this is taking paranormal investigations back to basics. 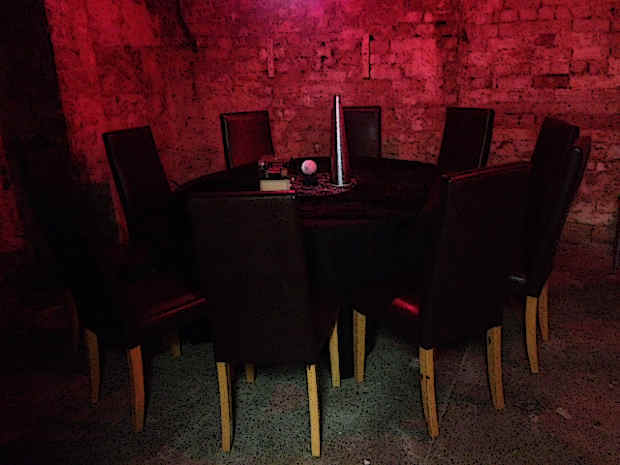 The location is fitted with night vision CCTV so we can be monitor and study paranormal activity in the basement 24/7.